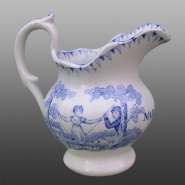 Shown here is one side of the jug. Seen here is the other side of the jug. 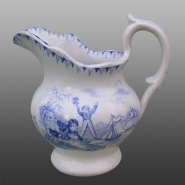 An earthenware child's jug printed with the name Margaret under the spout and scenes of children at play on each side.